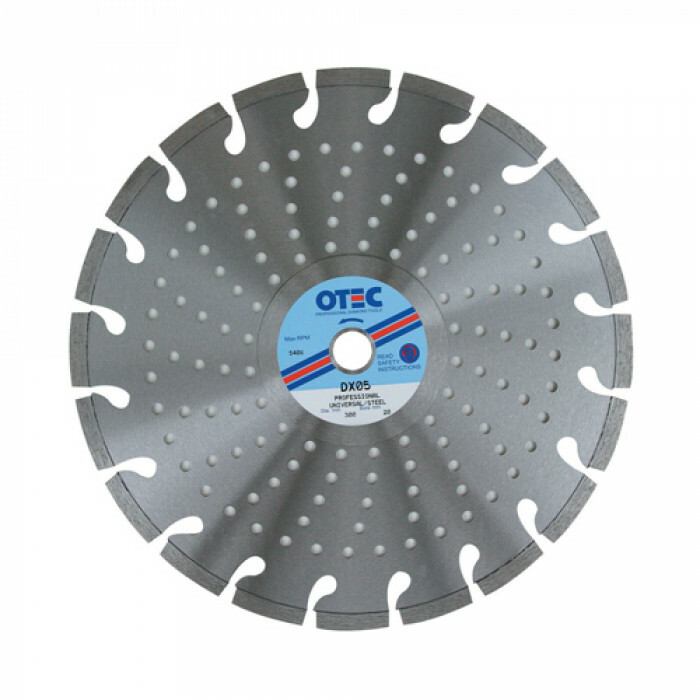 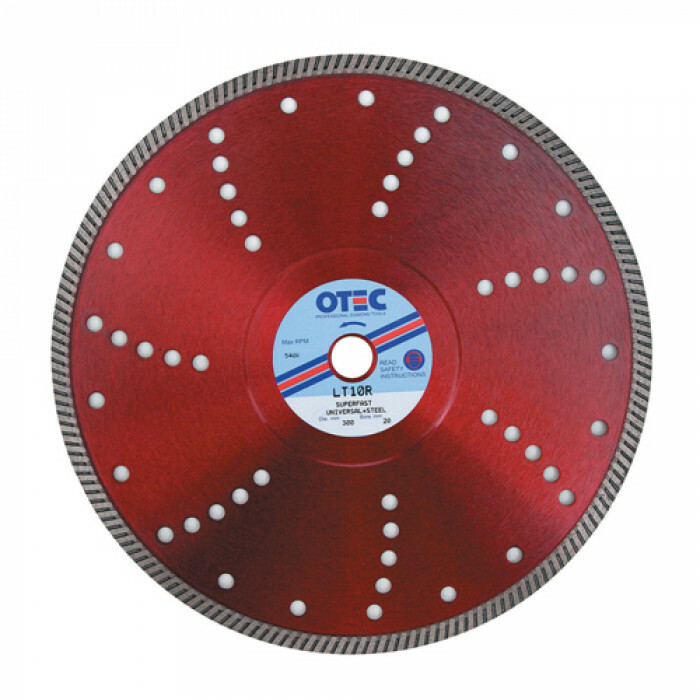 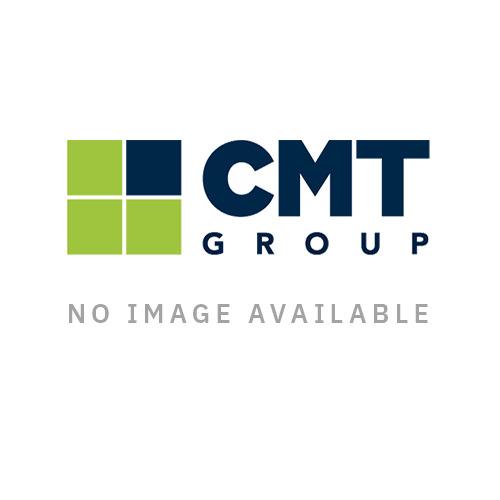 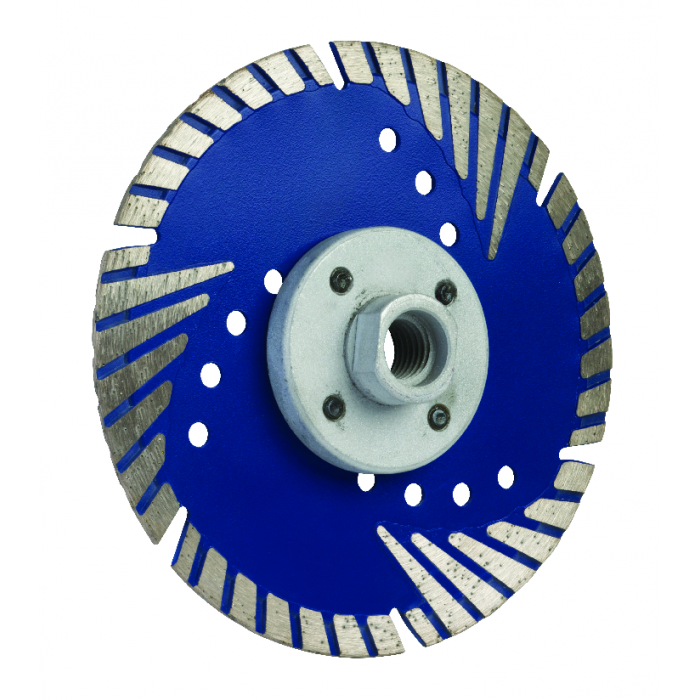 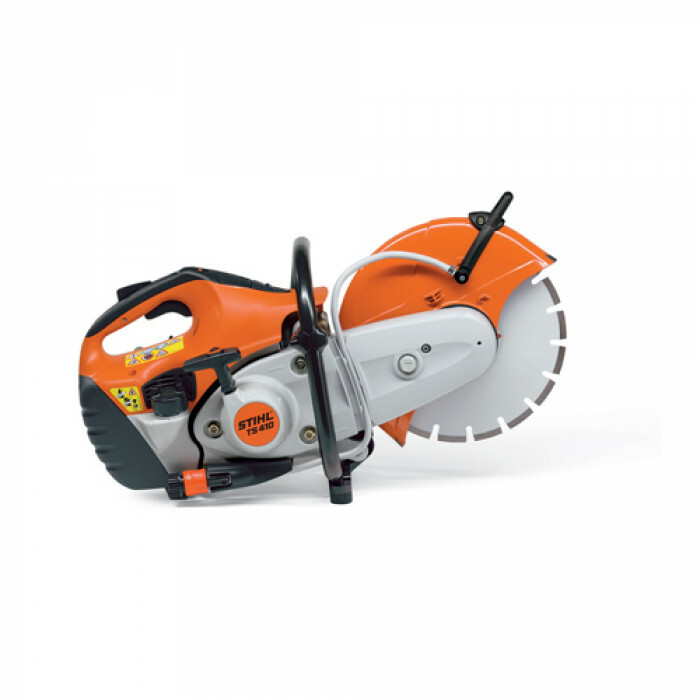 Here at CMT we are proud to stock a broad range of OTEC Diamond Blades, perfect for all of your cutting needs. 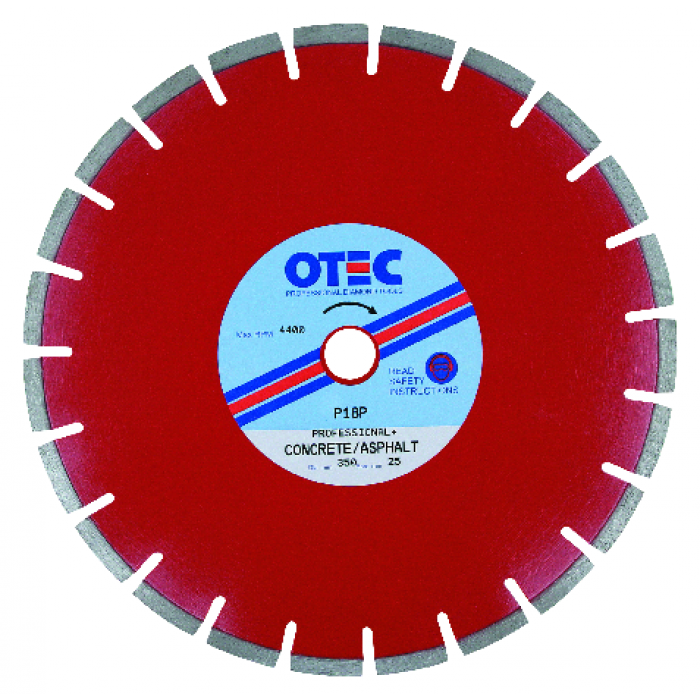 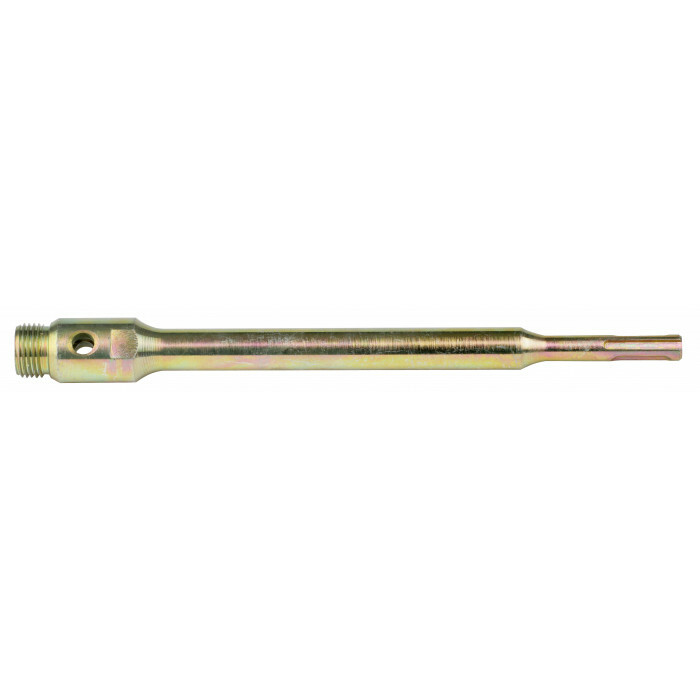 Whether you need to cut through tiles, concrete, clay, stone, granite, marble or brick; we have something suitable for you. 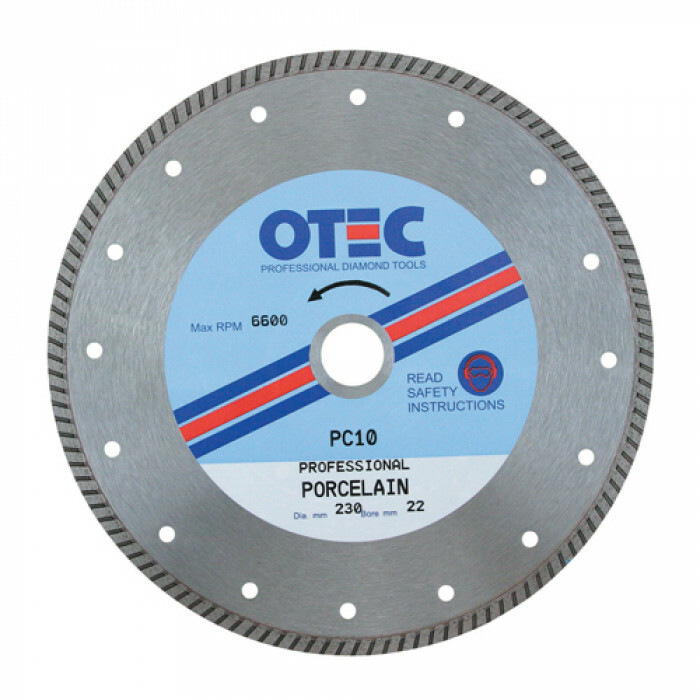 A diamond blade differs from a normal blade in the sense that it has exposed diamond particles held in place by a metal bond. 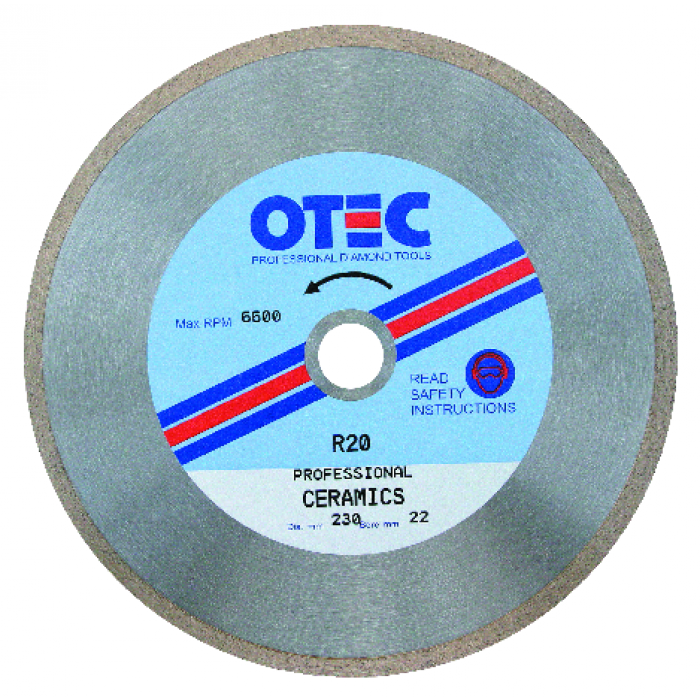 Differing from a normal blade again, a diamond blade grinds rather than cuts. 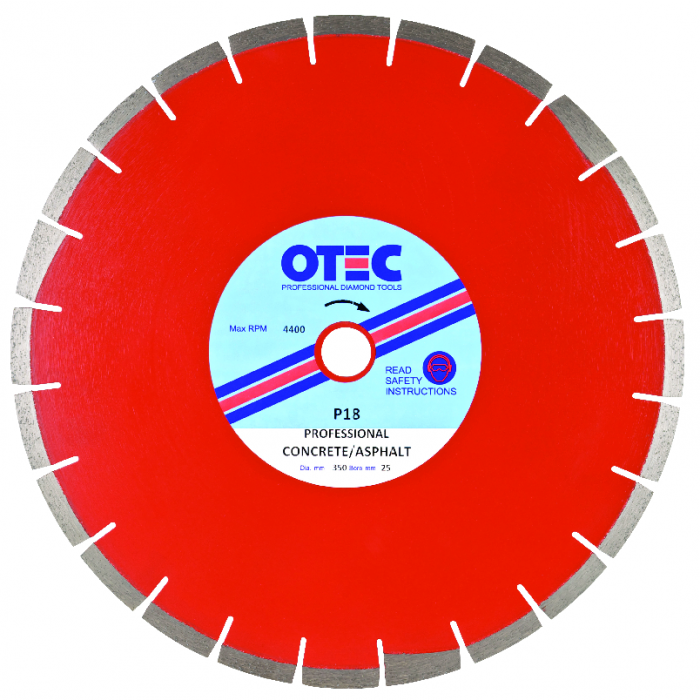 Our selection of OTEC Diamond Blades ranges from the Professional, more suited for cutting ultra hard bricks, to the R20 which is better suited for ceramics.